Swoon! Boy, do you guys know how to hit a home run with your sewing machines. 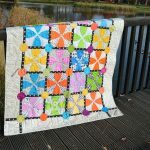 This week I couldn’t resist sharing some of the amazing projects that you all have been making with Color Girl patterns. These are so inspiring, you’ll want to get right back to your sewing machine. The quilt above is a work in progress by Emily (@emcelebrates), who also happens to be my colorful sister. She is working on the Whimsy Garden quilt pattern with her Classic Curves Ruler. 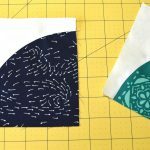 Em is pretty new to sewing curves, but she is totally rocking it! 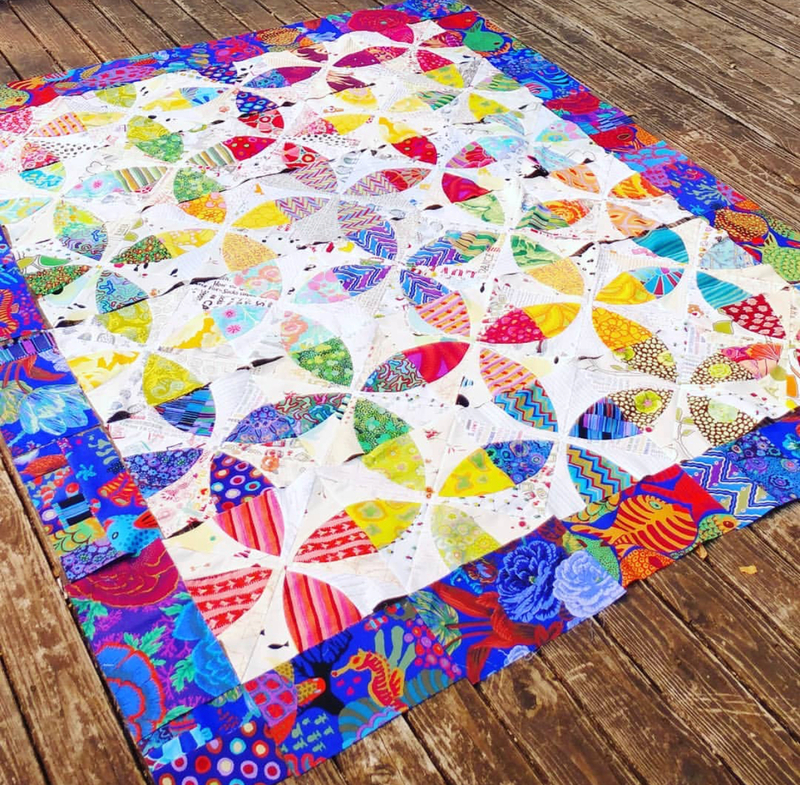 I love this quilt so much as is (how about all those Kaffe Fassett fabrics?! ), but it’s going to be super amazing once she gets the smaller circles added on. Talk about a color explosion! 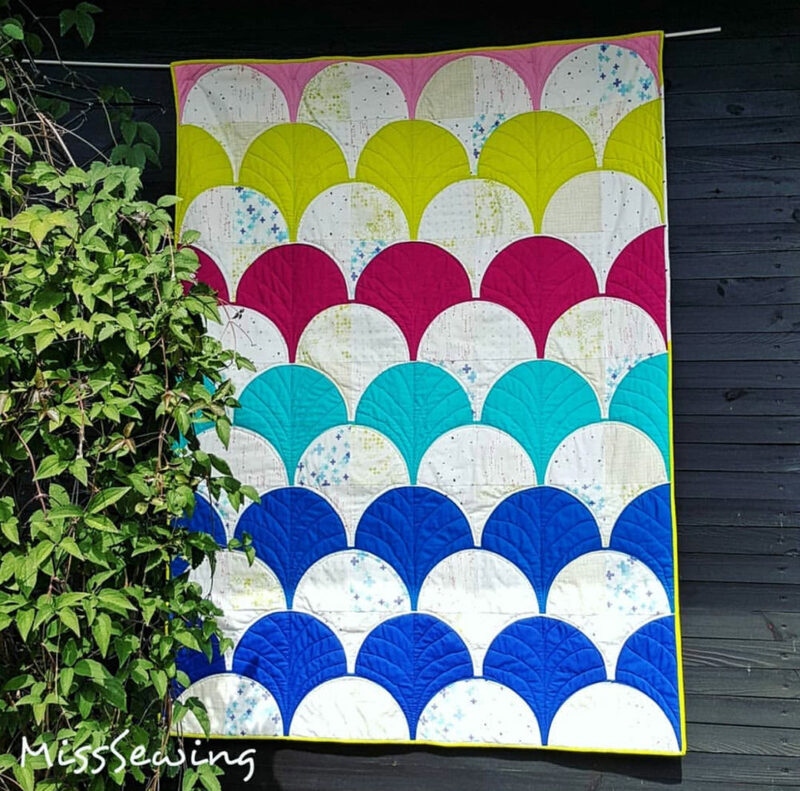 This pretty Mermaid quilt has so much going for it: fabulous color, perfect piecing and quilting, and those low volume prints! How perfect is this? This Mermaid was sewn by Christiane (@misssewing). 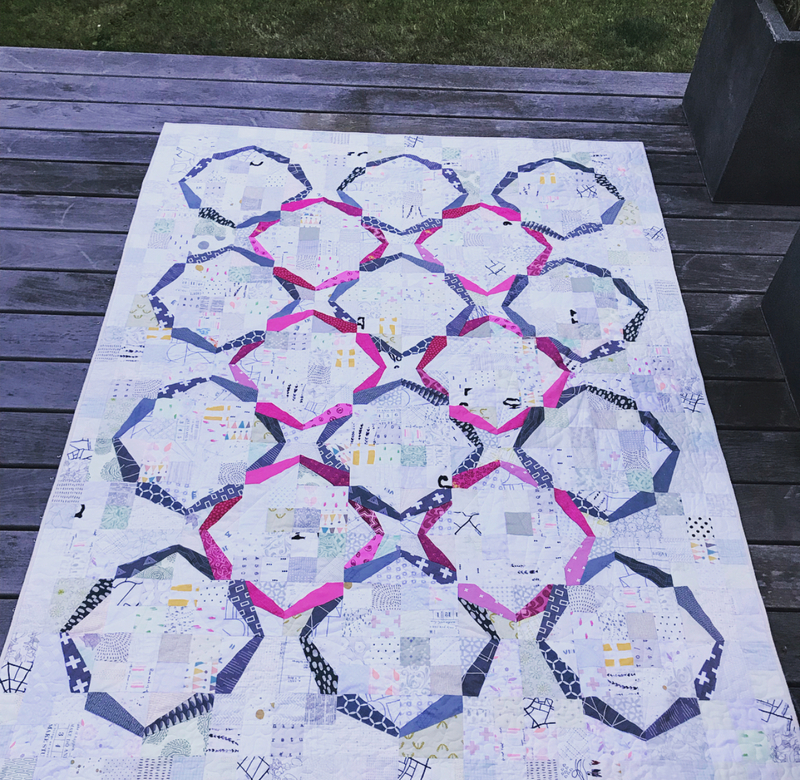 I am so impressed with her piecing…this is the first quilt she made with the Classic Curves Ruler. I certainly hope she keeps them coming (-: One of the great things about the Mermaid pattern is that you can rearrange the blocks and play with color placement to make a wide variety of looks. Christiane chose to make hers like a traditional clamshell pattern, and her choice of placing the colored clams in rows alternating with the scrappy light fabrics is so striking! 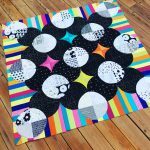 Yes, there are Color Girl quilts that don’t include curves (-: This gorgeous Hula Girl quilt was made by Alex (@hexenweib). She added more blocks to make the quilt bigger than the original and it really does create a neat pattern. One of my favorite parts of this quilt is how you piece the “background” for a textured, scrappy effect. I would say Alex must have accomplished some serious scrap busting: check out all those interesting “low volume” prints! Perfect use of prints, contrast and color. Bravo! Hula Girl is a very simple paper foundation pieced pattern. If you haven’t tried the technique and want to learn, this is a great pattern for starting out. What did I tell you? do these projects make you want to get deep into your scraps and try something new? I’m headed to a retreat this weekend and planning my projects. One of them includes a major raid of my pink fabric stash. Stay tuned! Want awesome free patterns, tutorials, shop updates and more? Sign up for email today. LOVE these~especially your sister’s version! SOOOOO COLORFUL!